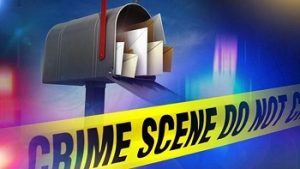 The United States Postal Inspection Service is the primary agency concerned in the investigation of a crime using the mail in furtherance of a scheme to defraud another. They are involved in investigating the number, pattern of the crime and takes cognizance of complaints from the public involving mail fraud as defined in 18 USC 1341. The Office of Inspector General (OIG) of the United States Postal Service has special agents who conduct an investigation for possible internal crime and frauds committed within the postal service. The agency also ensures to safeguard the revenue and assets of the Postal Service. If the victim is a financial institution, the imprisonment is higher of not more than 30 years. The same penalty is imposed when the crime was committed during a natural disaster. The same penalties are imposed for conspirators and those who abet and aid in the commission of the crime. The mail fraud cases below are examples and not actual clients, but similar to defendants we’ve helped obtain early release. Due to confidentiality issues, we do not publicly discuses any client’s cases! PENSACOLA, FLORIDA – On January 20, 2017 – U.S. District Judge M. Casey Rodgers of the Northern District of Florida sentenced Gary R. Tomey II, 47, of Pace, Florida, to 90 months imprisonment and 5 years of supervised release. Tomey was also ordered to pay a $1,219,129.46 forfeiture money judgment and $6,677 in restitution for the crime of CONSPIRACY TO COMMIT MAIL FRAUD, in violation of Title 18, United States Code, Section 1341. Tomey operated Children and Family Services Inc. which would fraudulently solicit charitable donations by phone donors in Alabama, Arkansas, Florida, Indiana, Mississippi, Ohio, and Tennessee. At his instruction, his employees would falsely tell donors 100% of their donation was going to the charity and that they were all volunteers. Tomey’s mail fraud crimes were as a result of him to defraud victims through having devised a scheme to defraud by obtaining money or property be means of material false pretenses and causing items to be sent and delivered buy the U.S. Postal Service. With a 90 month sentence, Tomey by law could receive 13 months and 2 days of statutory good-time. Tomey should serve a total sentence is 76 months and 28 days in custody. Had Tomey retained Wall Street, we could have gotten him qualified for a 12 month EARLY RELEASE as well as an additional 6 months of Halfway House/Home Confinement. Hiring Wall Street Prison Consultants cold have resulted in Tomey serving as little as 61 months in a Federal Prison setting! Long-term prison sentence can sometimes be avoided in white collar crimes, such as a mail fraud pursuant to 18 USC 1341. Wall Street Prison Consultants specializes in helping federal and state offenders to obtain sentence reductions through programs that can help provide alternative solutions to long term incarceration. Our consultation services employ investigative and research processes to assist inmates and their lawyers in finding the best solution and alternatives available to reduce prison terms of an inmate. Discuss possible solutions to your issues today.